Stylishly alluring, the Mira Wool Rug is a timeless choice for the home. The piece has been made with care and expertise in India by some of the best generational artisans in the world. The Mira has been crafted from the highest quality, hand sourced materials. The carefully chosen wool has been processed, washed and spun into yarn that is then dyed and styled into this gorgeous design. With 88 knots per square inch, the quality of the Mira speaks for itself. The production process ensures this piece is soft yet exceptionally durable, made to last for years to come. 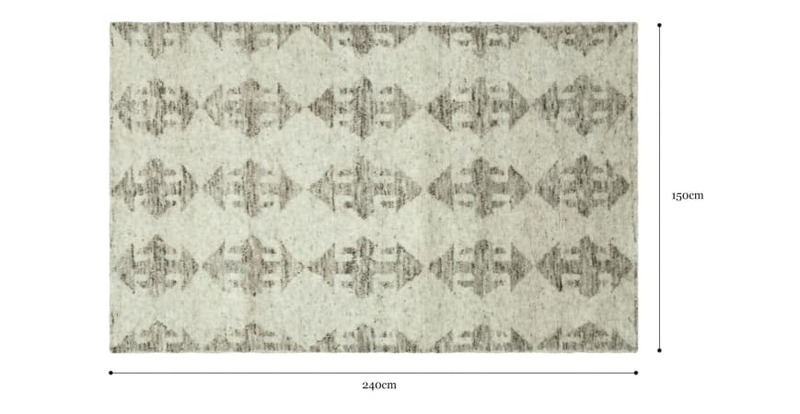 Shop the complete range of rugs on offer from Brosa.